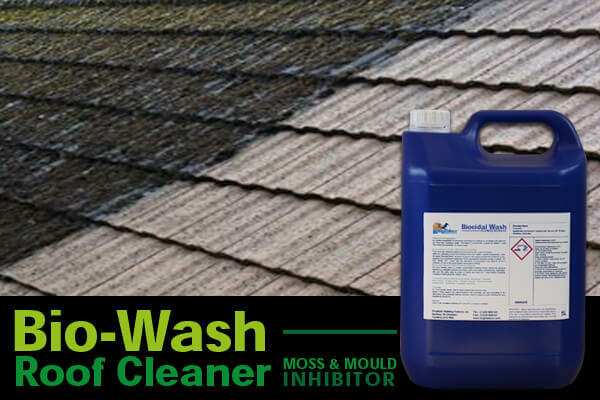 Kingfisher's Bio-Wash Patio & Roof Cleaner is a super concentrate moss Inhibitor and patio/roof cleaning and repair agent. 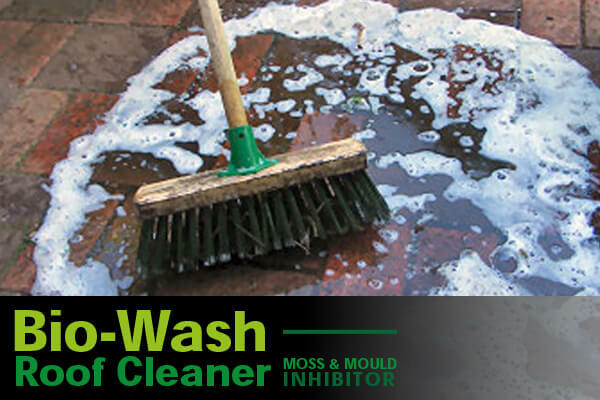 Dilute with water to make a highly effective surface cleaner and biocidal wash to kill and remover moss. It can be used in conjunction with either a deck scrubber or pressure washer. It is best utilised on flat roofs or roof tiles to restore them to their original condition. 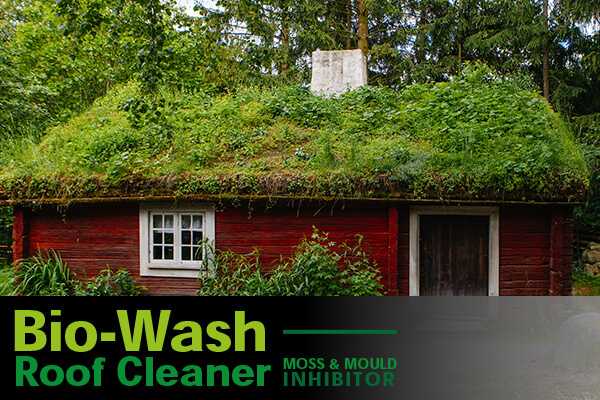 Our professional roof paving cleaner controls moss, green mould, lichens and more. Use our roof moss killer on roof tiles, block paving, flagstones, imprinted concrete, patios and more. Simply scrub or pressure wash and then rinse with a hose to remove lichen from driveways patios and roofs. The black streak that can be seen on some roofing is usually caused by moss, algae and lichen. This can ruin the appearance of your roof as well as leading to other problems such as blocked guttering. 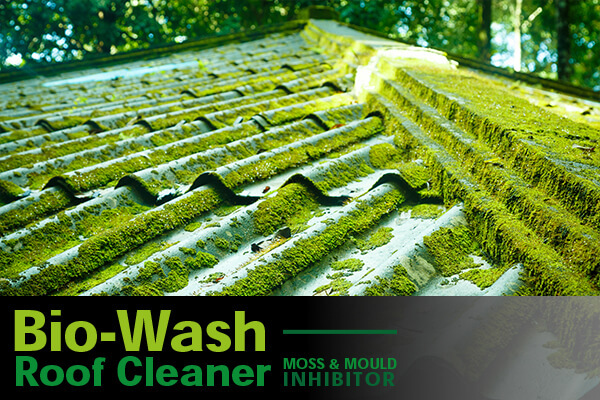 So, as soon as moss, algae and lichen start appearing, treat it with our roof moss killer. This product is outstanding because it won’t leave any smears and won’t negatively affect any brickwork or building materials. By using high pressured cleaning methods, you can damage your roof tiles, which may cause leaks or discolouration. That’s why our roof moss killer excels, providing an effective and affordable solution. The Kingfisher Bio-Wash Patio & Roof Cleaner will transform the appearance of your roof tiles or patio. Our biocide moss killer is used for domestic and commercial purposes as an algae remover, acting quickly once applied. Our moss removal products are perfect for patios and driveways, effectively preventing the growth of moss. 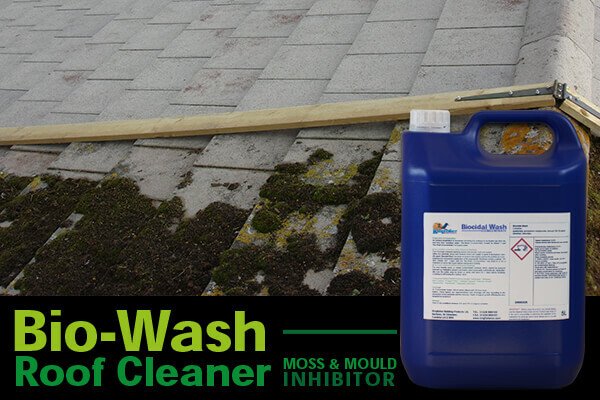 Bio-Wash can be used to sanitise and clean surfaces before the process of restoring and repairing the roof. Before applying a roof coating or recolouring product such as Kolourseal Roof Paint, simply apply this roof moss killer. 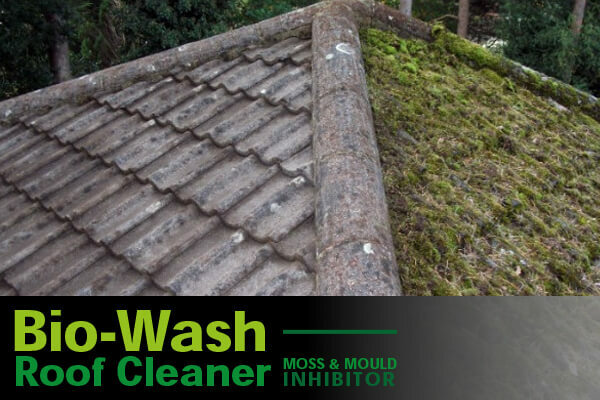 We have extensively tested our Bio-Wash Patio & Roof Cleaner to ensure it quickly removes moss algae. So, if you need a high-quality biocide moss killer that will not let you down, look no further. If you would like more information regarding our Bio-Wash Cleaner, don’t hesitate to contact us. Killed all the moss on our crazy paving paths - like a strong weed killer but for moss. Quick delivery and informative web site.